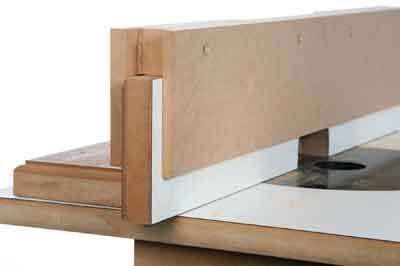 There are lots of choices when it comes to making the corner joint for drawers. 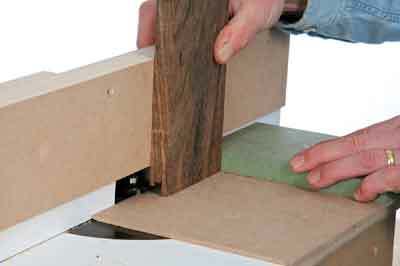 This very simple drawer lock joint jig allows you to cut the interlocking drawer lock joint using a grooving cutter with the router mounted under a table. 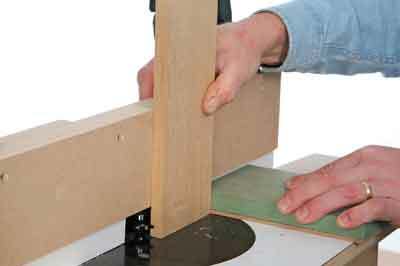 You don't need anything elaborate: I use a simple homemade jig that has served me very well over the years. The big advantage with this jig is that once the cutter height and depth is set, everything is machined at the same setting. 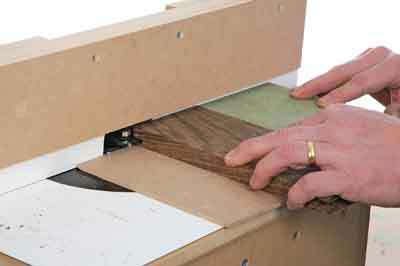 The joint is able to be cut in four passes, so it is incredibly quick at producing a set of nicely-jointed drawers. There are of course some limitations. 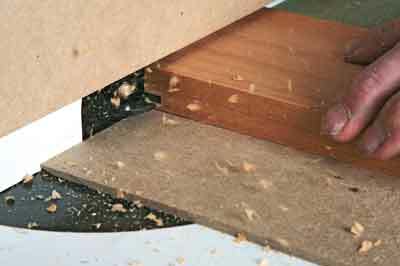 The jig will only work on drawer sides whose thickness is equal to the depth of cut of the grooving cutter, in this case 12.7mm. However the thickness of the drawer front is not at all critical. 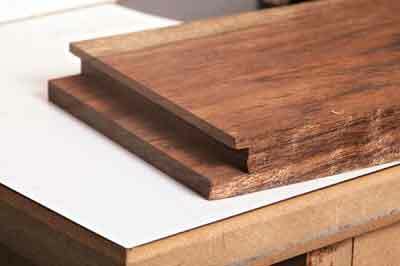 Start by making the sliding sub-base, which is just two pieces of timber or MDF, the lower one being thicknessed to exactly the same size as the cutter width, i.e. 4mm. Glue and screw the two pieces together making sure that everything is square, and most importantly that the bottom board is perfectly flat or the jig won't work. 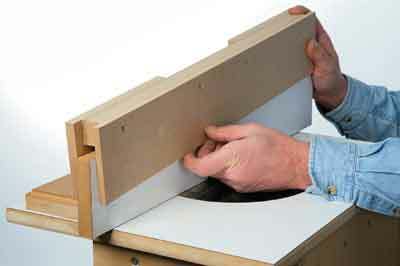 Countersink the screws well in on the underneath so they cannot rub on the router table. The auxiliary fence is effectively just a quickly removable spacer and has to be designed to fit securely around the existing table fence. In my case I was able to make it from three separate pieces arranged sandwich fashion to bridge over the existing table fence,. 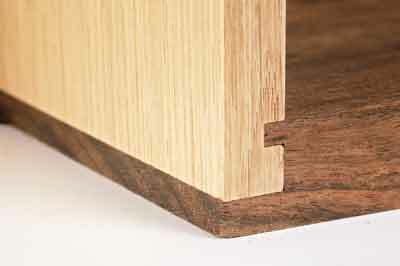 The critical factor here is that the new fence face is exactly 8mm thick and there is a gap beneath it big enough to accommodate the thickness of the drawer front plus 4mm. This measurement is not critical, but cannot be any less. Just screw it all together at this stage without glue in case you need to do some fine tuning later. My finished fence is shown in gallery image 4, although yours will be slightly different to suit your particular router table. 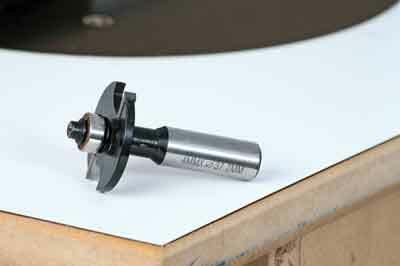 The cutter is an arbor mounted groover with a bearing, giving an effective cut depth of 12.7mm. 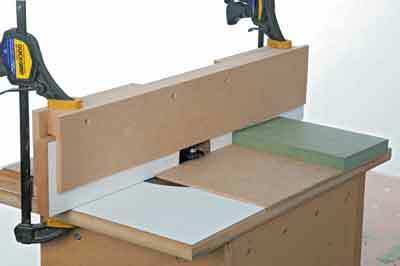 Mount this in the router table and if the fences are adjustable, bring them up as close as possible for maximum support and clamp them securely in place. 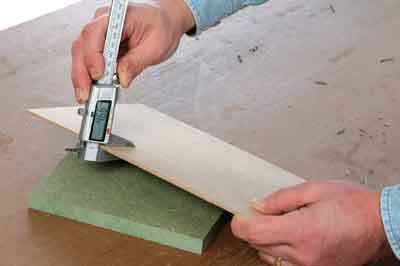 Adjust the height of the cutter so that the top edges of the teeth are 12mm above the table top. 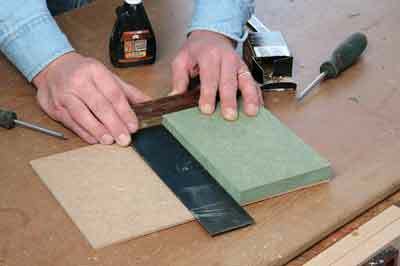 Use a straightedge to line up the fences with the bearing on the cutter so you get the maximum depth of cut. These settings are all critical so make sure everything is spot-on and locked up tight, as even the tiniest variation will subsequently affect the quality of the joint. Clamp the auxiliary fence in position, making sure it is tight up against the existing fence or you will get a false reading. 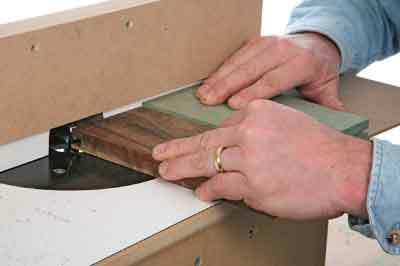 Prepare the workpieces carefully, machining the sides to exactly the required thickness, i.e. 12.7mm to match the maximum cutting depth. 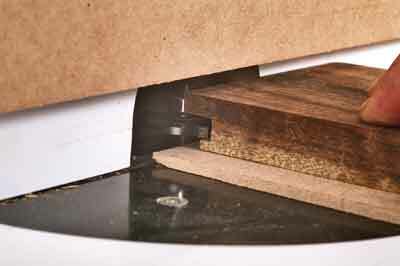 To cut the joint you now need to make four separate passes with the jig in place, three of them with the drawer front and the final one with the drawer side. Pass 1: Place the drawer front face side up on the table and use the end and side of the sub-base as a guide to rout a slot across the end. 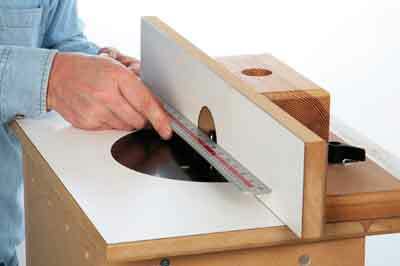 Pass 2: Turn the sub-base round, sit the drawer front on top of the 4mm sections and make a second cut to widen the slot to 8mm. 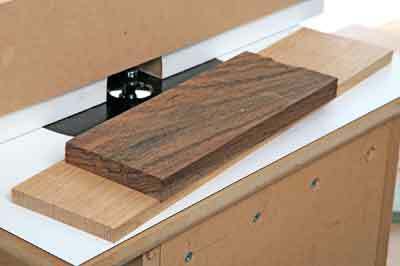 Pass 4: Form a slot in the drawer side by running it directly on the router table but up against the auxiliary fence. 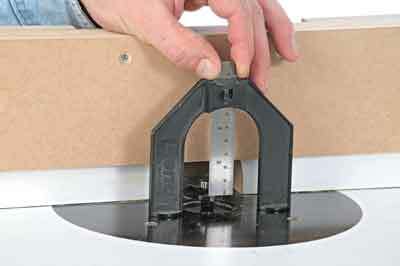 It takes only seconds to produce both halves of the joint, which should now interlock snugly. It is unlikely that the joint will fit perfectly first time, in which case you will need to fine tune some of the settings. In this case, the tongue of the joint appeared to be too thin so I raised the cutter slightly. Even minor alterations can have quite a dramatic effect, as you are changing several dimensions at once, so think carefully about the effect. After a couple more trial attempts the joint was still not perfect and it was a while before I realised that the problem was with the fence facing, which was actually a fraction over-size. Fortunately for me, it was easily dismantled and a quick whiz through the thicknesser reduced it down to exactly 8mm. 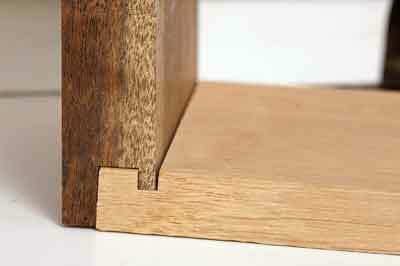 The next effort was a perfect drawer lock joint, a very strong, quick and effective method of jointing. I used a 4mm wide cutter and the jig dimensions must be sized perfectly to suit this size. You can vary the width of the cutter, but all the other dimensions will then need to be changed accordingly; not difficult once you have got your head around the principle of how the thing actually works.